Are you passionate about customers? Interested in managing an App specially made for retail associates and retailers to help them spend less and enjoy discounts/ offers/services/ knowledge to better the lives of one million retail associates? This role is apt for individuals with zeal to be a part of a start-up and willing to manage an entire region as a part of their development. The organization is seeking for a female candidate with excellent communication skills with relevant sales and business development experience. Preferably from retail and app background along with pre-sales calling experience. - Cold call as appropriate within your market or geographic area to ensure a robust pipeline of opportunities by meeting potential clients, growing, maintaining, and leveraging your network, basically market segmentation for the APP. - Fixing meetings for the BD team. - Identify potential clients and the decision makers within the client organization. - Research and build relationships with new clients. - Plan approaches and pitches by working with team to develop proposals that speaks to the client's needs, concerns, and objectives. - Participate in pricing the solution/service. - Handle objections by clarifying, emphasizing agreements and working through differences to a positive conclusion. - Submit weekly progress reports and ensure data is accurate. 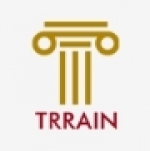 - Ensure that data is accurately entered and managed within Trrain's CRM system. - Builds multi-level relationships with its partners including those in the HR and executive level. - Relationships with these partners must remain well managed and mutually beneficial to both companies. - Manage agreements with alliance executives and promotes alliance organization. - Commercial savvy and Highly numerate with strong ability in financial analysis, forecasting, project costing, preparing and monitoring budgets. - Motivation for Sales, Sales Planning and Identification of customer needs and challenges.